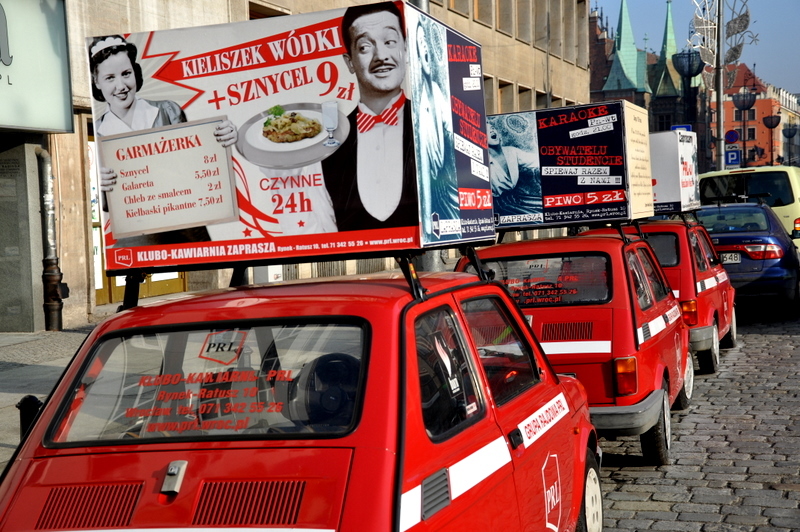 Apparently there’s a new restaurant in town that took its name straight out of Polish history books. 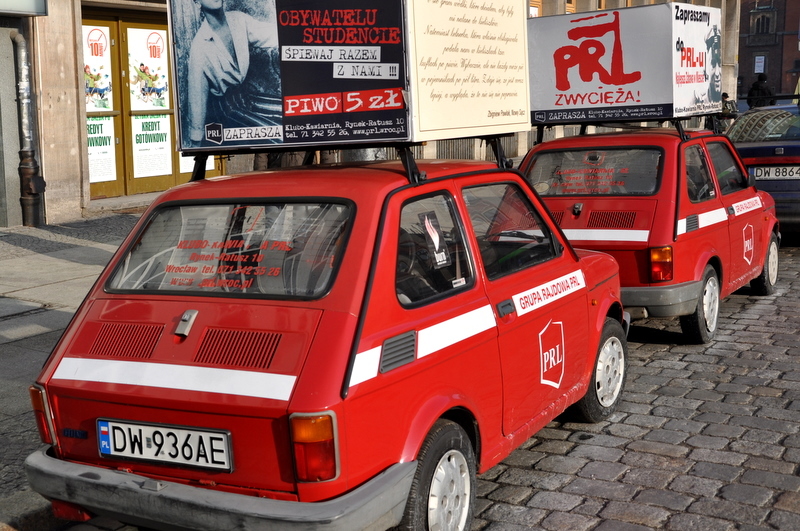 PRL stands for the People’s Republic of Poland and it was the official name of Poland between 1952 and 1990. 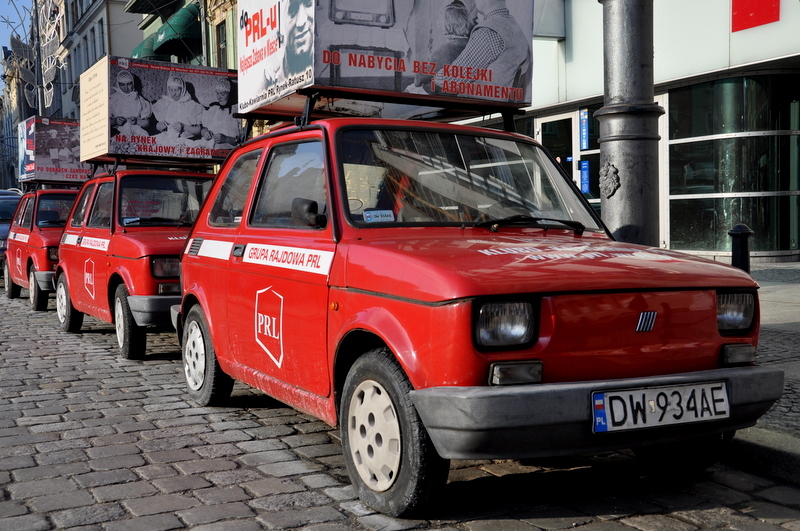 A lot of things happened in the post war communist Poland, Fiat 126p seen on the photos was one of them. I’ll need to stop by that place one day to see what it’s like inside, but as far as advertising goes, three red Fiat’s with signs on top of them sure stand out.